MSC Cruises have appointed Suzanne Rowe to succeed Rebecca Kelly as Head of Sales, Ireland with immediate effect. Rebecca Kelly has moved to Princess Cruises. Ballina native Suzanne moves to MSC from Konnections, Dublin based consultancy firm specialising in the field of sales training and tourism development. MSC say MSC celebrated 10 years trading in Ireland with the most successful year of sales ever. The MSC team of three in Dublin, Suzanne Rowe, Alana Byrne and Erica Oglesby is complemented by a f team of two in the six counties, Colin Rillie and Claire Smith. The written MSC Press release said: Prior to setting up Konnections Suzanne was employed by Club Med in Paris. She then worked with the Doyle Hotel Group as the Sales & Marketing Manager for the 5 Star Berkeley Court & Westbury Hotels. 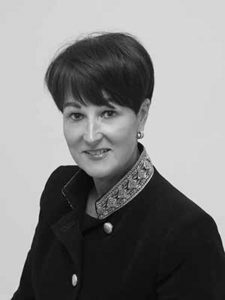 Suzanne went on then to work in some of the most prestigious Sales and Marketing Departments in the world such as The Ritz Carlton in Boston, Ballyfin Demesne, Ashford & Dromoland Castle, Sheen Falls Lodge Hotel & The K Club where she gained vast experience in corporate, leisure and conference sectors in the Irish, European and American markets. Her endorsements confirm a proven ability to create strategic alliances and inspire potential clients. Suzanne will take strategic leadership for representing the brand, further building on MSC Cruises market leading brand success. Suzanne will report directly to Steve Williams, Director of Sales Britain & Ireland and will take over leading the team of RSM’s. Antonio Paradiso, MD MSC Cruises Britain & Ireland said ‘The cruise industry in Ireland is going from strength to strength and at MSC Cruises as market leader in the country we want to lead the way in further expanding distribution by creating engaging content and campaigns that inspire consumers to choose a cruise holiday. Suzanne has the expertise across Sales, Marketing and Event Management to do this and I look forward to continued success in the Irish market.She is a dynamic results oriented professional with expertise in Sales & Marketing, Product Development & Brand Strategy. 2019 promises to be a further exciting year for MSC Cruises as the market leader in the Mediterranean, with continued expansion in Dubai & the Middle East, with two ships sailing the region for the forthcoming season & a rapidly expanding portfolio in the Caribbean MSC Cruises views the Irish market as instrumental to their long term growth strategy.